Join us for this fun event infused with education! We’re certain you’ll leave the experience highly educated with a gift bag including enough product to do your “homework” with.Registration for the September 9th class is OPEN!Turn your love of cooking and cannabis into an art form and learn how to make delicious cannabis-infused sushi! 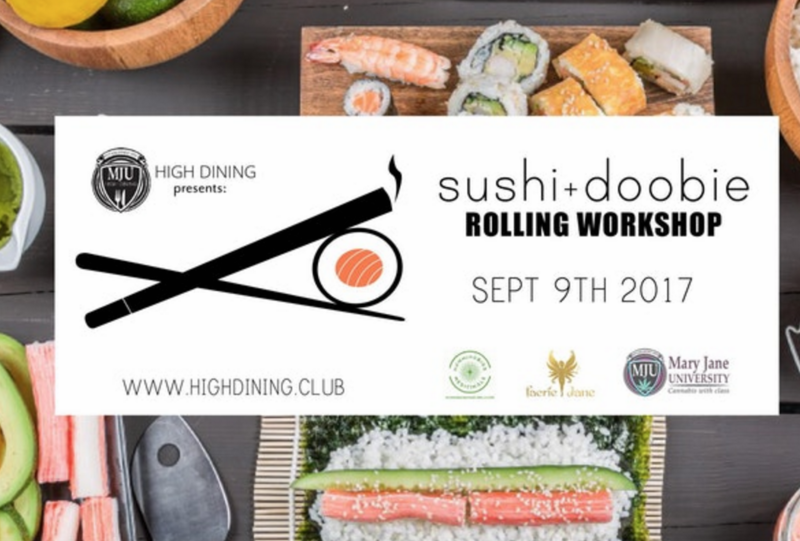 Chef Victor, a professional sushi chef will guide you in the sophisticated art of infusing with cannabis as well as how to roll a doobie! You’ll learn everything you need to know during this 2 hour, hands-on step-by-step workshop.MORE DETAILS TO COME!